I have decided not to give our kids presents anymore. My husband and I have long not given presents to each other to save money and to reduce clutter and stress. I want to reduce the quantity of presents on birthdays and Christmas. For years, I said we would downsize Christmas and birthday present piles. Yet, I would weaken and buy stuff anyway. Having four kids is expensive, and it’s hard to be fair and equal with different ages and interests. And I had issues with stuff. I felt less than and so bought more to combat those feelings. I loathe the expectations and inevitable disappointment. We moved to Germany. We purged and sold loads of stuff before moving. I have no desire to re-clutter. We had little storage. We purged again when we moved to Ohio. I feel that having too much stuff is the root of discontent. And I’m really tired of arguing about the cleaning up and the putting away. So, again a great purge. I’m being very intentional and proactive about what I purchase for our homeschool and for the kids to play with. Mostly, if we get something new, something old has to go. I don’t really want underneath the Christmas tree to be empty or the birthday child to wake up with nothing to unwrap. I just want those special days to be about more than stuff. Because holidays should not be about stuff. Birthdays should celebrate the child. Thanksgiving should celebrate gratitude. Christmas should celebrate Jesus. Celebrations should center on relationships. I want to make memories with my kids and teach them the value of family. I have lovely recollections of family gatherings, and since my kids live far from any extended family, I want to cultivate a loving home atmosphere with our little circle of six. As with any worldly thing taken away, it should be replaced with a meaningful option. Our goal is to be debt-free and Christmas is no exception. When we lived in Germany, we traveled every Thanksgiving (Prague and Porto and Venice!) and Christmas (Rome!) and during birthday weeks. It was convenient and usually not very crowded, so we took advantage of these opportunities. It became a new tradition. Now, we’re back in the States, in Ohio. And we have to reinvent our priorities again. Cooking and eating special meals together as a family, passing down fun recipes. Making gratitude a lifestyle and teaching our kids how to be thankful for everything that comes from the Lord and content in all things. Yes, this is difficult and I’m a work in progress! We try to overcome the obstacles to being frugal or debt-free during holidays. We read and worship through Advent. We learn about and celebrate the feast of Saint Nicholas. We don’t do Santa Claus. See how we celebrate a Christian Hanukkah! I participate or lead a Blue Christmas service. We read lots of Christmas and holiday books. For us, books and apps and travel are great presents. We can never have too many books! The kids love educational apps on their iPads, and as they grow in knowledge and understanding, they need more mature learning games to replace the old games they’ve outgrown. I only buy clothes as needed or when I find a great deal and know it will be needed soon. We don’t have too much storage for handmedowns. I’ve never seen kids so excited about socks in my life, y’all. I’d rather make travel memories with my kids than buy stuff that gets stuffed in a dresser or collects dust on a shelf. We’re trying to be minimalist and I hate dusting. Presents are not the focus of our celebrations. How do you focus on relationships instead of gifts during the holidays? It was the hardest for us when we came out of Christianity and no longer celebrated X-mess. What the heck were we supposed to do?! Luckily, immediately Ha’Shem helped us with that. Keeping the Biblical feasts MORE than changed our lives – there are six times as many special days the way Yehovah does things, it turns out – and each has it’s different meaning/activities. Now we play dreidle, light menorahs, make/eat latkes, and have eight nights of dollar store gifts – things that we use up easily, like flavored chapsticks and battery operated tea-lights (which make AMAZING Lego firepits, lighthouses, etc.) Each of the eight nights, we each GIVE the only-a-dollar store gifts, and the kids love giving more than they do getting, now! Plus it’s one little thing they get at a time, so attention is given to each thing – magic growing animals when you dip them in water, or sticker booklets to add to their letters/papers. And of course every morning of Hanukkah they wake and find little crazy candies in their gelt cups. The problem came in that everyone gets X-mess off from work. So there we sat on THAT day – the one of darkness mixed with light – and we had nothing to do. So now we pick a city we’ve never been to, and spend the night there – wander the streets, look at the monuments all lit up, and do something unusual things special to that location. It’s been *SO* fun – we’ve done Toledo, Indianapolis, and were supposed to do Springfield this year, but due to finances (and the fact that we’re doing a Thanksgiving trip, too), we’re thinking Frankenmuth (X-mess town, with a giant indoor waterpark/hotel). We’ll see…! But I far enjoy Hanukkah and the travel trips more than I ever enjoyed X-mess. Yes, we celebrate the feasts too! We love the Hanukkah traditions! What great ideas, Jennifer! Thank you for sharing them. Memories (and photos) always seem to make holidays more special than gifts. Yey for taking time to cultivate relationships. For us, gathering around our dinner table to share our meals and play board games are those times we cherish and celebrate. Great post, neighbor. Blessings to you and yours! Wonderful post, Jennifer. I love creating new traditions. You know, when I look back at my childhood, memories are what stand out, not stuff. Can’t remember much of what presents I received on birthdays or Christmas, but I remember family and what we did and traditions. Thanks or this reminder! Blessings! I’m at a point in my life that I don’t really want stuff. I would rather have my kids home around the table than gifts under the tree… rather spend time at my parents’ house than have another thing to unwrap. I don’t mind gifts, of course, since they represent love, but I think it creates a whole lot more contentment when you learn what’s really most important in life…. and that’s people! Amen. It’s all about relationships. I love your post Jennifer! When our sons were young, we started the tradition of giving each three gifts (small, medium, and large). The three Kings came bearing gifts so we used this story as an example. We were never fond of purchasing items because we do not believe in stuff. It’s a wonderful tradition for our family. In addition to the three gifts, we chose a charity or family to give gifts or food. I am happy to say the giving has grown. We now give many gifts to homeless teens, a local food bank, Operation Christmas Child, and a homeless family. The teens and family are unidentified. We work through a local individual and she reaches out to the families. The focus is now on others and not us. It is a great feeling to spend the holidays giving and serving others! Thank you for sharing your traditions and your family! Thank you so much for the encouragement. You have no idea how much I needed to read this. Have a great holiday! This is wonderful! Hope y’all had a fabulous Thanksgiving! I agree with being clutter free. And I see no reason a couple of special gifts would not be appropriate but I know that spiritual gifts lasts forever. I would think traveling as a family is priceless. I don’t have those kinds of memories. I love the idea and sentiment behind this. I really enjoy upping the reason for the season in our home. Putting the focus on God and not so much stuff. We have always set a $ limit on what we will spend. We did a huge purge when we moved into a camper while we build our house and I definitely don’t want to add too much to that! Thanks so much for stopping by the Live Life Well link up! We are thrilled to have you! Any sharing to get the word out is much appreciated. Living in a camper would be a challenge! We’ve long lived debt free during Christmas. However, we still tend to overbuy. This year we have made a commitment to do things a little differently. Spend less money. 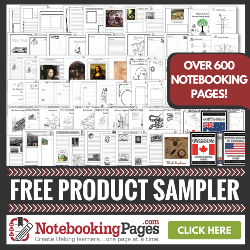 Buy more things that are also learning resources for homeschool. Things both kids can enjoy together. We’re also hoping to start a few more Christmas traditions to create more special memories. Thank you for your heart and ideas! It’s a difficult trap to overbuy since we associate love with stuff. One thing I have been thinking about lately, Jennifer, is that I want to teach my kids to be so purposeful in their gifts when they have their own families. Because once you get into that trap of buying everything under the sun, it is hard to get out of it. I know part of my problem was that my parents would spend at least $1,000 on my kids every Christmas and probably the same amount of their birthdays. I would feel the pressure to keep up and outdo them because the best gifts should come from mommy and daddy, right?!?! It was so hard – and they refused to respect boundaries around this issue. You’d think that because of that, my kids would end up wanting a bunch of gifts now that they are older. But that’s not the case at all. That pressure is no longer in our lives since I had to distance myself from family members – and now we have the freedom to celebrate Christmas the way our family enjoys – quiet, simple, easy. This is a time of rest for me after a very busy fall with work. I just really, really, appreciate your post, Jennifer and I chose it as my feature on Grace and Truth this week. I pray that you and your family have a truly blessed Christmas season full of wonderful family memories and rest. PS – I’d love to hear more on how you lead a Blue Christmas. Thanks for sharing on Grace and Truth. The pressure this time of year is so hard on so many. I will post more about my Blue Christmas service soon. What a great addition to Literacy Musing Mondays this past week! I do need to give more of myself in serving others. Thanks for that reminder.